Chevrolet discontinued the Trailblazer back in 2008. It was not a good time for Chevrolet and GM. Bankruptcy will spoil any party. Aside from shattering the myth that GM was too big to fail, another major factor contributed to the Trailblazer’s passing: increasing gasoline prices. Suddenly, SUVs of all sizes were out while small cars, such as the Chevrolet Cruze, were in. . The Trailblazer nameplate first came about in 1999 as a higher trim Blazer, but it became its own model in 2002. This first generation Trailblazer is actually the only generation Trailblazer. It was dropped in 2008 and its replacement was the car-based . But here’s something the Traverse doesn’t have and likely never will: a Corvette V8 under the hood. In 2006, Chevrolet launched the Trailblazer SS which shared the C6 Corvette’s 6.0-liter LS2 V8. Based off the LT or LTZ trims, the Trailblazer SS could be had in either rear- or all-wheel drive. The most significant difference between these two trims was that more features were standard on the LTZ, such as a six-speaker Bose audio system, an in-dash CD player, a touchscreen GPS nav system, and a rear DVD Panasonic entertainment system. All Trailblazer SS models, however, came with "SS” emblems, including on the polished wheel center caps and front bucket seats embroidery. Another nice exterior enhancement was some silver trim on the lower front fascia. The cool wheel design also helped to signify this was no ordinary Trailblazer. The Trailblazer’s other engines were the 4.2-liter inline-six and 5.3-liter V8 with 273 hp and 302 hp, respectively. The LS2, however, was rated at 400 hp. The only gearbox Chevy offered for all Trailblazers was an unexciting four-speed automatic. 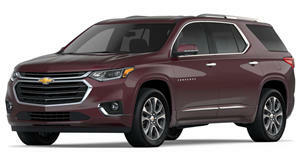 Chevy also decided to offer Trailblazer SS buyers the choice of having rear-wheel-drive. Aside from the SS, all other Trailblazers came standard with a four-wheel-drive layout. You could order a Trailblazer SS with 4WD, but that would kind of ruin the whole concept of having a 400-hp performance SUV at your disposal. Plus, burnouts wouldn’t be possible. The Trailblazer SS was discontinued alongside the rest of the Trailblazer lineup in 2009. We don’t have an official build count for the SS, but many are still on the road today. And you could be driving one of them. This 2008 Chevrolet Trailblazer SS is for sale right now on with an asking price of $18,000. We think that’s a little high considering the SUV is a decade old, but the Los Angeles-based seller claims the all-black SUV is in excellent condition. Then again, it does have almost 120,000 miles on its clock. The seller also claims they bought it from a GMC Buick dealership in 2016 and it’s been driven very little since. One of the possible reasons for the high asking price is that it’s equipped with "new dealer parts.” That’s nice and all, but it doesn’t even have leather upholstery, meaning it’s essentially an LT trim with the LS2. But whatever, look no further if you want an old school SUV with a factory installed Corvette V8. Just see if you can negotiate that price down a bit.